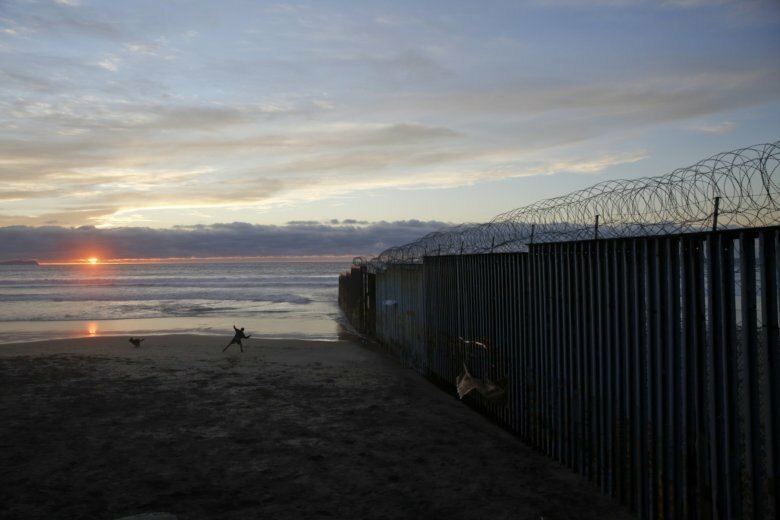 PHOENIX (AP) — In his demands that Congress set aside $5.7 billion for a border wall, President Donald Trump has insisted that a new physical barrier would stop heroin entering the U.S. from Mexico. “Our southern border is a pipeline for vast quantities of illegal drugs, including meth, heroin, cocaine and fentanyl. Every week, 300 of our citizens are killed by heroin alone, 90 percent of which floods across from our southern border,” Trump said in a speech last week about U.S.-Mexico border security. But U.S. statistics, analysts and ongoing testimony at the New York City trial of drug kingpin Joaquin “El Chapo” Guzman show that most hard drugs entering the U.S. from Mexico come through land border crossings staffed by agents, not open sections of the border. The southwestern U.S. border “remains the primary entry point for heroin into the United States,” says the Drug Enforcement Administration’s 2018 Drug Threat Assessment. “Why bother trekking through the desert with a small amount of the drugs if it’s so much easier and faster to drive it through a port of entry?” asked Adam Isacson, director of defense oversight for the nonprofit Washington Office on Latin America, a group that says Trump’s wall will not boost border security. Still, some people living near the border believe a wall would stop the flow of hard drugs into the U.S.
Sue Chilton, the wife of longtime cattleman Jim Chilton who has operated a 50,000-acre ranch in southern Arizona for more than three decades, said they have seen “anything and everything” come onto their land that includes a 5.5-mile stretch along the international boundary. “If you have 10 people standing on one corner and no one standing on the other corner, where do you think they are going to catch the robber?” she asked. He said it’s highly likely that all of those shipments were bound for official border crossings because it would not make sense for them to be rerouted to more remote areas where people cross the border illegally on foot. Hope said it’s harder to say where traffickers had planned to take the 3.7 metric tons of pot that Mexican authorities seized last Friday from a truck intercepted between the cities of Zacatecas and Saltillo in central-northern Mexico. Since 1990, U.S. officials have discovered at least 230 tunnels, most of them running from Mexico into California and Arizona. It’s believed smugglers have spent hundreds of thousands of dollars to build the more sophisticated ones with ventilation and lighting. Testimony during Guzman’s trial made it clear that physical barriers did little to prevent the shipment of his Sinaloa Cartel’s drugs to the U.S. Jurors also watched a video of a cartel submarine carrying 13,000 pounds (some 5,900 kilograms) of cocaine worth more than $100 million. The U.S. Coast Guard intercepted the submarine off Guatemala’s coast as it headed north. The Coast Guard has detected dozens of such subs over the years, many bound for Mexico and a trip for the drugs by truck through official border crossings, as well as few found off the U.S. coast in Florida and Texas. Intercepted cartel text messages presented in court have shown if there is a crisis on the border, as Trump insists, it isn’t new. The cartel has moved loads of drugs over the border at legal and illegal crossing points for three decades. “How are the sales going?” Guzman asked in a 2012 text message to his lover Agustina Cabanillas Acosta, who helped coordinate drug deals. Associated Press writers Peter Orsi in Mexico City, Claudia Torrens in New York and Astrid Galvan in Phoenix contributed to this report.